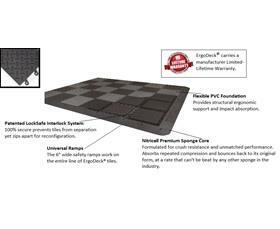 ErgoDeck® Max | Fredon Handling, Inc.
ErgoDeck® MAX has the same great features as ErgoDeck® Modular Flooring. 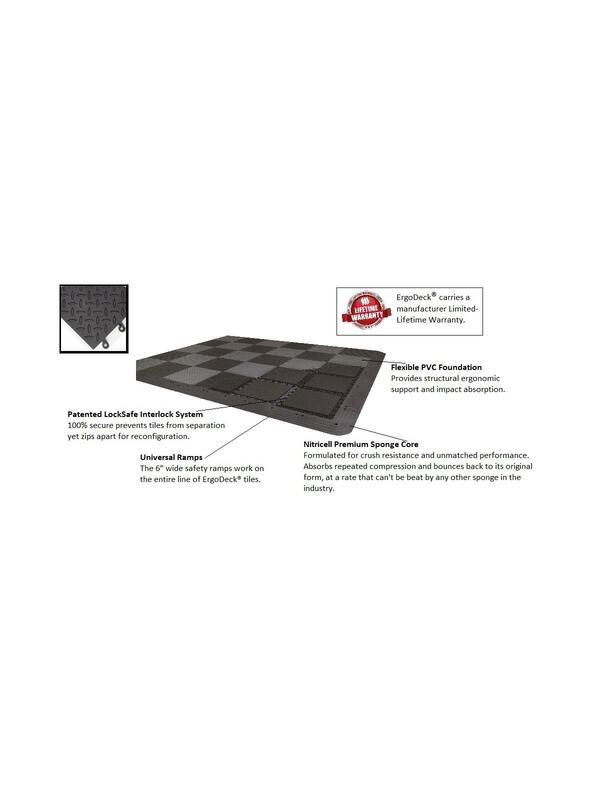 Two great materials for dry areas, offering ergonomic structure and anti-fatigue in one champion flooring solution. FOB Shipping Point. Ten tiles per case. Must purchase in case quantities. See Related Items tab for ErgoDeck® Modular Flooring and ErgoDeck® Ramps and Corners.